"Ouch. All these years later, I still feel the sting from his words. But I feel some satisfaction now. It's now 12 years later, and the church is not only alive, it's also healthy and growing stronger every day. 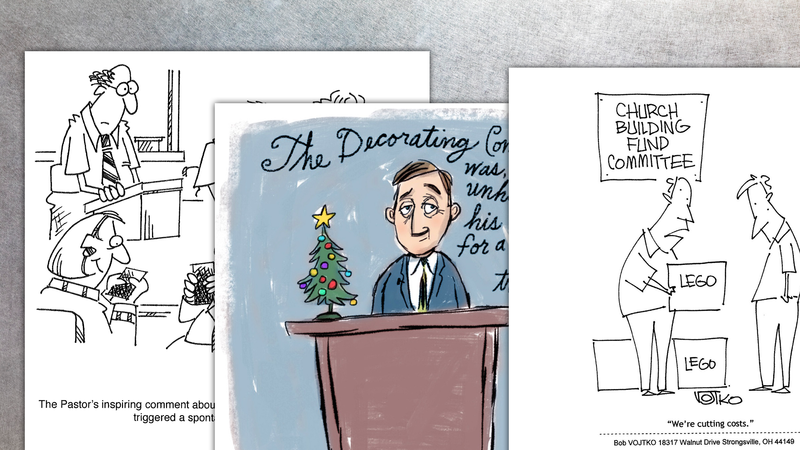 … He was wrong about the future of the church, but he was right that I was way too insecure." That's just one of many dynamics at work in church planting. 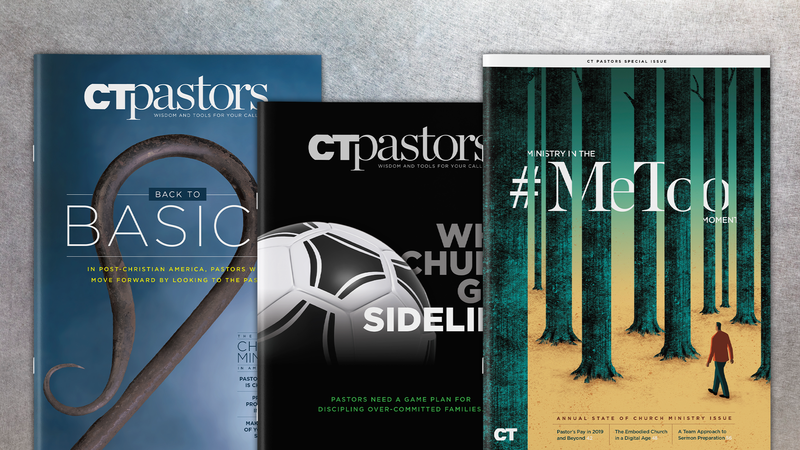 The articles in this Common Challenge feature the wisdom of church planters on the challenging but significant task of starting new churches. 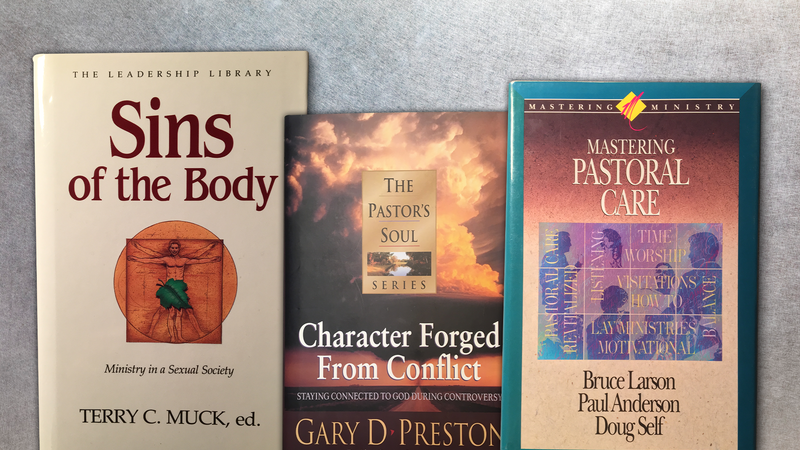 Whether you're pastoring a new church yourself or encouraging those who are, these stories will help you do it better. A new planter reflects on living a year of wise advice. This year I faced one of my greatest fears: planting a church. I sought advice from veteran pastors and church planters. Their counsel has come through classes, formal coaching relationships, and one-off meetings or phone calls. Now, our church (Immanuel Anglican in Chicago's diverse Uptown neighborhood) has launched. As I reflected on the past year, I made a quick list of the most helpful advice I was given during this first, vulnerable year of planting. Of course, this list is specific to our church's context, and most of our story has yet to be written. But I think the advice I've received could help others as well. 1. "Sustain high learning agility." - Mark Reynolds, vice president of leadership programs at Redeemer City to City. In 2012 I was part of a church planting training. Mark taught several classes. He said "learning agility" (meaning mental and ministry adaptability) so often, that by the end of the course we couldn't help but associate that phrase with him. But I'm glad he repeated himself. This piece of counsel is the key that unlocks the nine tips below. Mark warned us that many church planters are not willing to have high learning agility. They are sometimes so enamored with a particular ministry model or idea that when it does not work in the real world, they get embarrassed, defensive, and discouraged. Mark encouraged our class to find good coaches, learn from our mistakes, and constantly adapt to the conditions. At every stage of our initiative, veteran coaches have made adaptation and growth possible for me and our church. 2. "Go slow to go fast." - Stewart Ruch, senior pastor at Church of the Resurrection in Wheaton, Illinois (our sending church). Church planting is this vulnerable, exciting space where something is supposed to come out of nothing. Everyone, including you, constantly wants to know: How's it going? What's happening? Where are the results? So when we moved back to Chicago to plant a church, I felt a strong urge to start make something happen—to go fast. And there are many faithless ways to generate activity in the early days. Stewart taught me that building a community is slower than you want it to be. It takes time to develop trust, grow as a leader, and wait on the Lord together in prayer. However, once the community is in place, you have an entire team with gifts and energy that take the church so much farther than you could on your own. Your people will have more enthusiasm about the church plant if they've helped you shape it anyway. So go slow to go fast. 3. "Gather a Launch Team instead of a Core Group." - Al Barth of Redeemer City to City. Al, a church planting veteran, surprised me with this one. He taught our class that a typical church plant Core Group can be like a close-knit board meeting, made up of leaders who make executive decisions. As such, these groups are difficult to leave (there's no end date), they are difficult for the church planter to lead (less freedom, more like a hired hand), and people are often wary of joining such a high-commitment group. A Launch Team is more like an ever-expanding party, where there is a winsome urgency to gather others, take risks, and be creative together. Launch Teams are also easier to leave, because the launch of the church gives the team a defined off-ramp. In 2013 our Launch Team partied, sweated, risked and made lots of memories together. I loved leading this team. Many of them ended up staying with us after we launched in October, and those who didn't are still beloved friends. 4. "Jesus builds his church, so stop watching the door and start feeding your people." - Mark Bergin, lead pastor of The Painted Door in Chicago. Mark spoke these words to me because I was worrying about who wasn't showing up. When we finally started to gather people, I had thoughts like, "Why wasn't ____ or ____ there tonight?" Or: "Why doesn't X or Y type of person come, and how can we change that?" Who God brings and who God does not bring to your church will surprise you. Mark's timely word was instrumental in my own experience of God's grace related to the makeup of my church. Since Jesus builds his church, getting certain people in the door was ultimately not my responsibility. Instead, I was called to feed, lead, and commission the people that Jesus had already brought. I can still feel the relief that washed over me when Mark spoke these words. He was both coach and pastor in that moment. 5. "Finding worship space is an uphill spiritual battle; start praying." - Kevin Bruursema, New Life Community Church in Chicago. Kevin has been involved in catalyzing many New Life church plants in the city (there are 19 of them). Kevin's words about worship space were prophetic. He knew what I know now: worship space is hugely influential to the development of your church, and finding the right venue can be as much a spiritual battle as it is a logistical one. On two different occasions, we were in desperate need of space. The first time was in February, when our Launch Team outgrew the largest available house in our congregation. We prayed, and God provided a perfect multi-purpose space that we used for several months. The second time was in August, when we were weeks from Launch Sunday but without enough space to invite more people. We took Kevin's advice, and organized a 40-day period for prayer and fasting. At the beginning of the prayer journey, we had exhausted our options and had no idea where we would go. In other words, the logistical battle had been lost, and all we had left was prayer. Our intercession took on a desperate-but-hopeful intensity! We knew God would provide but didn't know where or how. By the end of the 40 days, we were in negotiations with a neighborhood high school that has allowed us to welcome substantially more people and actively serve the neighborhood. Even though this challenge was specific to me, Kevin taught me that if you are involved in church planting long enough, you will experience this reality as well. 6. "Identify your motives for church planting, and be vulnerable enough to communicate them." - This is my paraphrase of advice about building trust from authors Henry Cloud (from his book Integrity), Patrick Lencioni (The Five Dysfunctions of a Team) and Stephen M.R. Covey (The Speed of Trust). 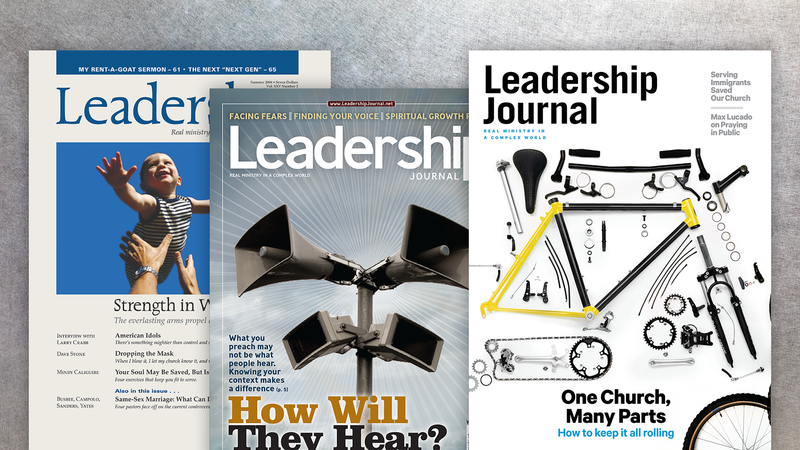 Each of these authors encourage leaders to build trust by communicating their intentions. Unless people know your story, when they find out that you're planting a church, they are likely to project negative motives on you, such as: He's egotistical; he's just trying to prove something; he's mad at his old church … " Simon Sinek underlined this point in this TED talk when he argued that leaders should "start with 'why' instead of starting with 'what.'" Every potential launch team member and supporter will ask (even if they don't say it out loud): "What's the real reason you are doing this?" I learned that if I honestly told my story and explained why I moved back to Chicago to plant an Anglican church in Uptown, people often moved from being a skeptic to being a supporter of some kind. 7. "Collaborate with your fellow planters and pastors; don't compete with them. "- While I have heard this from many good pastors in the last year, Tim Keller says it best in Center Church, when he reflected that Christian leaders who see the Kingdom grow in their city are "more concerned about reaching the whole city … than about increasing their own tribe and kingdom." This is a paraphrase of Philippians 2:2: "Be of one mind … do nothing from selfish ambition." There is now a critical mass of church leaders in Chicago who model this posture, including Jon Dennis, Jackson Crum, and Mark Jobe. They and others have set a tone of collaboration, and as a result some of my best allies are other Chicago pastors and planters. My friend and fellow planter Brian Fulton organized an informal church planters huddle that includes him, myself, and Josh Sherif. We regularly share ideas, resources, and personal support. Our discussions have ranged from confession of sin to what goes into child activity bags for Launch Sunday. If you are planting or pastoring, I encourage you to fight the temptation to posture. If you don't collaborate, you miss an opportunity to aid other church plants, and you lose what other pastors could give to your church. 8. "Don't be afraid to ask for money and people." - Aaron Wojnicki, founding pastor of Faith Community Church in Prospect, Kentucky. Aaron, who planted in the greater Louisville area, challenged me to ask senior pastors of supporting churches directly for money and people. He deconstructed the common association of meager resources with spiritual purity or greater faith. Having the resources of people and money makes church planting possible, not easier. People and money are like oxygen; they are two essential components for your church to stay alive and thrive. You are more likely to have a strong, healthy start if you humble yourself and ask for both without any shame or hesitation. 9. "Be flexible with how people grapple with your vision." - Daniel Hill, founding pastor at River City Community Church, a multi-ethnic church in Chicago's Humbolt Park neighborhood. Daniel planted in 2003, and his advice had the perspective of nine years of involving and raising up strong leadership in his church. In short, Daniel counseled me to be patient with people who over-engage or under-engage with my visionfor the church. This involves taking the risk of giving people room to disagree, and give them the choice of self-selecting out rather than making that choice for them. Strong leaders need freedom to disagree with you and share their ideas, knowing that you take them seriously. Again and again I saw this process make the vision and direction of the church stronger, more thoughtful, and freed from unhelpful or inaccurate paradigms. The other side of this advice is that some people need time and space to decide whether or not they will join you. They need the freedom to under-engage. I allowed people to attend our meetings so they could "taste and see" without a firm commitment. Some people who became highly involved after our launch needed the freedom to simply be present in our community before the launch. Daniel was right—keeping your vision solid and exercising flexible patience is a tension to maintain, not a problem to solve. If you eliminate the tension, you forfeit the opportunity to include some of your best people. 10. "Follow Jesus on the journey he has planned for you, and invite your people along. "- This is a combination of advice from two fathers in the faith: my dad, Lou Damiani, and my bishop, Stewart Ruch. I learned that when God called me to plant a church, he intended for me to go on a journey with him. The beginning and end of this journey are not results, but the love of God in Christ. That is the promised land! Church planting is uncomfortable and dangerous work. When Jesus calls you to take it up, he intends to draw near in previously unknown ways. If you're willing to respond in your soul to where God is calling you, you can take people with you. The other side of the coin is this: Don't commission yourself to a journey that belongs to someone else. There are plenty of compelling church plant stories out there. I am not called to re-create them, and neither are you. They are good for inspiration and bad for copying! Your journey is your own and will be partially discovered as God allows it to unfold. Planting a church? Don't miss this helpful infographic breaking down the typical legal process involved from our friends at Church Law & Tax. Aaron Damiani is the rector of Immanuel Anglican Church, a church plant in the Uptown neighborhood of Chicago, Illinois.